With a late debut at 30 years of age in 1937, Mario Filippeschi sang for twenty years in the major opera houses of the world choosing to perform in the theaters of Mexico, South Africa, Spain and Portugal in the last ten years. Highly acclaimed by the Spaniards who coined him “la voz de oro” for superlative vocal and technical qualities, ample registers, a famous top and clear diction, he was too soon forgotten as many other tenors of the splendid fifties. Early in his career he concentrated on Verismo and Verdian roles and later he chose to sing the great creations of Rossini, Bellini and Donizetti. He was a superb Manrico, Radames, Arturo, Raoul and Arnoldo. Mario Filippeschi was born on 7 June 1907 at Montefoscoli, a small town in the province of Pisa, Tuscany, the fourth son of Silvestro, farmer, and Palmira Benvenuti, housewife. He spent his childhood in the serenity of the Tuscan valley. Although opera was a very popular pastime in that period, it had no meaningful place within the Filippeschi family, Montefoscoli being a small town out of reach of even small operatic companies. Mario’s contact with singing was limited to the church choir, which accompanied religious functions during the festivities. At the age of seventeen, he studied the clarinet for two years and at twenty joined military service lasting three years. Mario used to take the stage and sing Tuscan songs with great acclaim by his military companions and superiors. It was during this time that the young soldier became convinced that he had a voice to consider seriously. One day after military discharge, Mario read a newspaper announcement that Mr. Vicidomini, a Neapolitan teacher, prepared in Milan young singers for their debut on the operatic stage. After an audition, Vicidomini offered Mario a series of singing lessons free of charge. For five long years, the teacher, a perfectionist, restricted his pupil to voice development through exercises and vocalizations, with particular attention to top notes, which were easy and brilliant by nature. Suddenly, Vicidomini, left without enough pupils because of his mania for perfectionism, transferred from Milan to Rome, at the Vatican, to teach singing to the Swiss guards. Filippeschi turned then to another teacher, Mr. Pessina, begging him to teach him operatic scores for a possible stage debut. 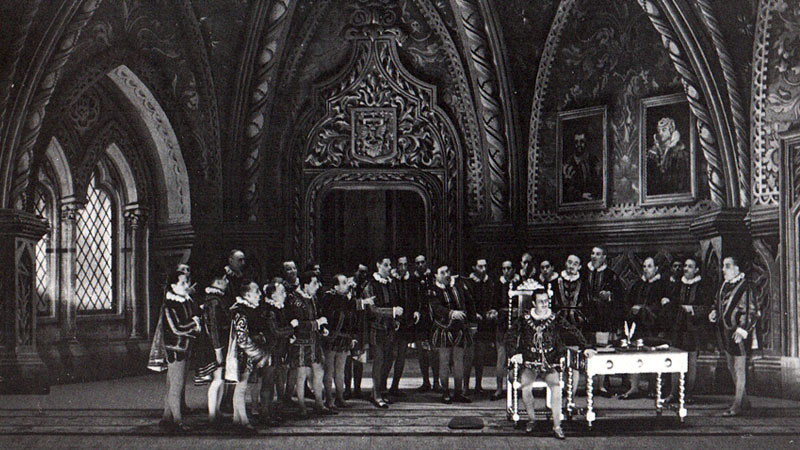 Some choir members of the Teatro alla Scala heard the young tenor and recommended him to an impresario who was organizing an opera season in various Italian provinces. The impresario engaged Filippeschi for the role of Edgardo in the opera Lucia di Lammermoor. 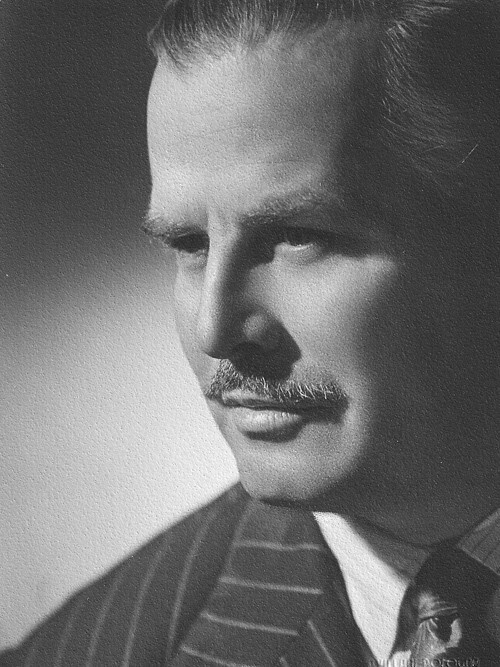 Mario made his operatic debut as a lyric tenor on 19 July 1937 at Colorno, near Parma, in the Donizetti’s opera. It was a success. He was thirty years of age. The local paper reviewed the new tenor performance as follows: The tenor Mario Filippeschi sustained the role of Edgardo with great honour and gave rise to prolonged applauses. He distinguished himself particularly in the curse scene and the aria “Tu che a Dio spiegasti l’ali”. The following day, again as a lyric tenor, he sang the role of the Duke of Mantua in Rigoletto. More significantly, he repeated the role on 24 July 1937 co-starring the legendary Lina Pagliughi as Gilda, in the main square of Busseto, Piazza Verdi, and the Corriere Emiliano had this to say: The tenor Filippeschi gave proof of excellent vocal qualities and as a beginner he has a brilliant artistic future ahead of him. Mario Filippeschi continued his ascendancy to notoriety with other debut roles in the lyric repertory: Pinkerton in Butterfly, Rodolfo in Boheme, Alfredo in Traviata and Faust in Mefistofele. At the beginning, his voice had a silvery timbre with easy passage to squilli but limited volume. As performances kept increasing, Filippeschi’s instrument began to develop; yet, he was wise not to take advantage of a more robust voice and kept himself within the extreme limits of lirico-spinto roles in Adriana Lecouvreur and, specially, Tosca, making his debut in both operas in early 1940. He was in Spain on tour for the first time in early June 1940 when Italy entered World War II. He found refuge at Bursajot, near Valencia (Spain), as a guest of Lauri-Volpi’s home, where the two tenors got better acquainted. He returned to Italy after a grueling trip through France. He met Anna Pucci, the very young daughter of a leather goods proprietor, in March 1942 at La Spezia and married her a few months later in Genova. In the same year, he sang Pinkerton at the Rome Opera House in the presence of the Japanese Emperor Hiro Hito. During the war years, he toured Greece, Spain and Germany in difficult times and through many perils. Twice in 1944, the Germans and Italian black brigades arrested him in Liguria. In both cases, the captors immediately released him after hearing him sing in order to establish his identity. His voice saved him both times! The years 1945 and 1946 were the turning point in the Tuscan tenor‘s repertory with debuts in Cavalleria and Aida. His voice, maintaining the initial clarity of timbre and extension, had acquired substance in the middle register and volume. The progressive approach to heroic and dramatic roles was, therefore, a natural consequence to his instrument’s maturity. 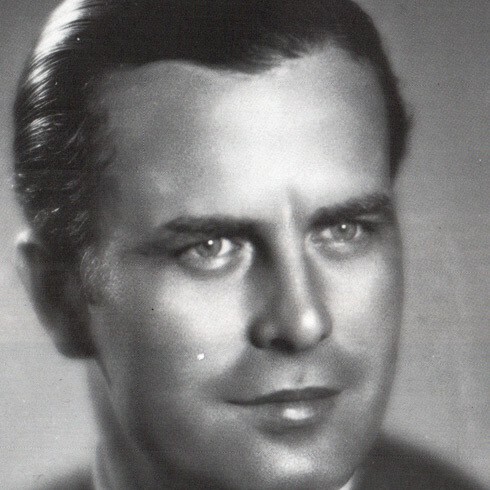 After the war, between 1946 and 1950, Filippeschi toured Portugal, Spain, where he was extremely popular, well paid and acclaimed as one the greatest tenors of the period, South America and Mexico. At Al Palacio De Bellas Artes, Filippeschi earned the greatest accolades of his career, starting with a famous Tosca co-starring Maria Callas. The Mexican public showed themselves very warm and enthusiastic. They paid tribute to the singers in a very unusual way. At the end of the performance, they showered the stage with confetti, thrown from all parts of the theater. This is what El Redondel had to say: Mario Filippeschi is the prototype of Italian tenors, born to sing opera. He has a beautiful voice under easy command and he feels the music. “Recondita armonia” was excellent although there was no applause. “E lucevan le stelle” was magnificent and he encored it amidst enthusiastic applause by the audience. Filippeschi sang the first act duet with great participation and interpreted with efficacy the dramatic moments of the second act. In late 1949 and early 1950, Filippeschi inserted in his repertory two operas, which, with Rigoletto, may be considered fundamental in his career: William Tell, a supreme interpretation of reference for the ensuing 15 years and Trovatore. In 1950, he made his debut at Mexico City as Gabriele Adorno in Simon Boccanegra, Don Jose’ in Carmen and Loris in Fedora, a real triumph. In 1951 as Andrea Chénier at Naples, in 1952 as the infant in Don Carlo at Barcelona, in 1954 as Pollione in Norma with Maria Callas in a studio recording and as Calaf in Turandot at Palermo, followed, in 1955, by four famous performances as the unknown prince in Cairo, Egypt. The vocal part of Calaf suited Filippeschi to the ground. The celebrated aria “Nessun dorma” was sung with stylishly ecstatic accents, resulting in a vocally electrifying effect. In 1956, his last operatic debut was as Riccardo in Ballo. In the early sixties, his vocal conditions were still excellent, which would have allowed him to continue singing for a long time yet. Unexpectedly, he announced his retirement from the stage. It is difficult to justify such a sudden decision, which, apparently, he never regretted. Surely, the world of opera had changed a fair bit. He was a singer of another era, thrown now in an environment dominated by the image cult as imposed by the big recording companies and mass media. His choice to sing Aida and Rigoletto for the last time in a far off country, Finland, was not therefore fully casual and without significance. In 1962, he opened an artistic shop at San Jacopo, Florence, which became a Mecca for aspiring tenors in search of technical and interpretive advice. Away from the theatre, Filippeschi was able to follow one of his great extra-musical passions, that for football as a Fiorentina fan. In 1977, he received the “Bellini d’Oro” prize for his performances in Puritani and Norma. In the same year, he was also rewarded with the “Luculliano d’Oro” prize at the Teatro Regio di Torino. He passed away on X’mas day 1979 in his home of Via dello Sprone, Florence. Mario was active until the early sixties and sang with a formidable strength of vocal means for about 25 years. His long and prestigious international career evolved principally in theaters of Spanish language (Spain, Portugal, islands and Latin America) but never touched centres of great operatic productions such as The Metropolitan of New York, Chicago Opera, Covent Garden, Paris Opera, the two Staatsoper of Berlin and Vienna. Occasionally he sang at the Teatro alla Scala, in Adriana Lecouvreur, Tosca and Forza, without excelling. It is a fact that important theater management never had great regard towards his real worth. Filippeschi, endowed with conspicuous natural means, knew how to sing following an apprenticeship of five long years under an abstruse teacher Vicidomini, who was always in search of perfection. He was able to emit thunderous top notes and at the same time smorzare (extinguish the sound) a la Gayarre, Fleta and Lazaro, the legendary Spanish tenors. No wonder he was so popular and acclaimed by the Spaniards, who coined him “la voz de oro”. The Spaniards appreciate above everything else a tenor voice that rises to sharp fifths with silvery squillo and extinguishes in mezza voce in not only the centres and passages, but also the top register. The Tuscan tenor successfully stylized many of his performances in the repertory lirico and lirico-spinto in accordance with the tradition of 1800 belcanto, completely contrary to verismo, which was the flavor of his period. He sang Puritani and Willian Tell with great success. Lauri-Volpi became envious of Filippeschi for a while. In the end, he recognized his younger friend and colleague’ splendid voice by sending him the following postcard: “Burjasot, 23 December 1978 – Avenida Lauri-Volpi, 5. Remembering the splendid voice, I heard here at Valencia in Rigoletto and Pearl Fishers. No voice of current singers could ever be compared to yours. To day, you would be the King of tenors. Take care and think of a sincere admirer whose name is G. Lauri-Volpi, 84 years of age”.